MossCellTec™ is an innovative biotechnology that now makes it possible to benefit from the extreme resilience properties of moss. The resulting active ingredient MossCellTec™ No. 1 maintains cell nucleus health, a completely novel anti-aging concept. Extensive studies have shown that MossCellTec™ No. 1 strengthens skin against urban aggressors and climatic changes for a more resilient skin. About 470 million years ago mosses were one of the first plants that moved out of the water and conquered the earth. The development of a specialized adaptation strategy was required for mosses to inhabit various climatic regions. They are masters in water retention, rehydration, fast recovery and cold resistance. It has recently been shown that mosses are even able to continue to grow after being frozen for 1500 years in permafrost. Although resilient, mosses grow slowly and are thus often under protection and cannot be harvested in the wild. Additionally, wild mosses filter the air and retain toxins that prevent them from use for cosmetics. To make the adaptation skills of mosses usable for cosmetics, an innovative biotechnology, MossCellTec™, to grow moss protonema in a laboratory setting was developed. The resulting active ingredient MossCellTec™ No. 1 based on the moss maintains cell nucleus health, a completely novel anti-aging concept.The cell nucleus contains the DNA, the blueprint of the cell and is therefore considered the control center of the cell. In one cell, up to 5 million molecules are transported into and out of the nucleus every second! A timely transport of signaling molecules is crucial for the adaptation of cells to fast changes such as in temperature and humidity. As we age, the transport becomes less efficient and less selective which can lead to less resilient skin. 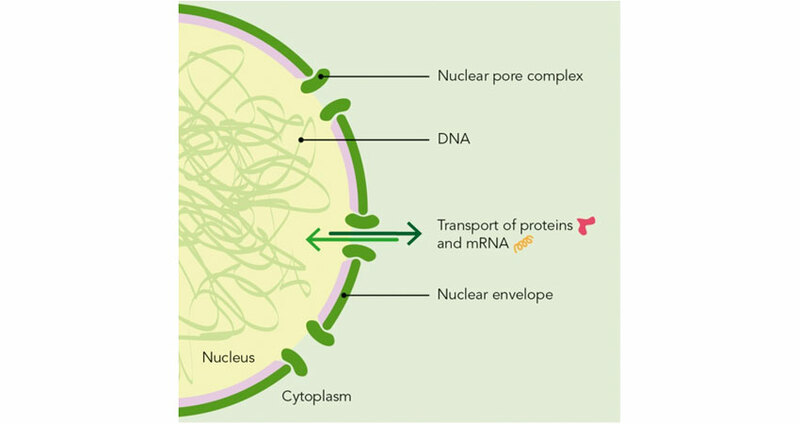 Maintaining the proper stability and shape of the nucleus as well as ensuring an efficient transport into and out of the nucleus can be summarized as the topic of cell nucleus health. MossCellTec™ No. 1 increases the expression of nucleus health markers in aged keratinocytes. Additionally, MossCellTec™ No. 1 improves the adaptation of skin to climatic stresses such as heat and humidity. Treatment with MossCellTec™ No.1 prevented the collapse of the dermal structure upon climatic stress in 3D skin models. The efficacy of MossCellTec™ No.1 was also tested in a placebo-controlled clinical study on volunteers who spent more than 2 hours per day outside in the summer in Seoul, Korea. After just 14 days of treatment with 2% moss active, a significant improvement of skin hydration, TEWL and skin tone homogeneity compared to placebo was observed despite stressful climatic conditions. These results show that MossCellTec™ No.1 captured the resilience properties of moss through innovative biotechnology. MossCellTec™ No.1 enables skin to adapt to environmental changes for a flawless complexion.